What’s the first thing you think of when you consider a trip to Turkey? Is it a leisurely wander through markets and local bazaars? Is it beautiful mosaic tiled ceilings and features? Soaking in decadent Turkish baths? Perhaps you’re keen to visit some ancient ruins? Or is it the promise of Turkish coffee, brewed so strong you can stand your spoon up in it? Turkey is all these things, and more but did you know that Turkey also has some of the most magnificent beaches you could hope to see? Think crystal blue waters lapping at pristine white sandy shores, just a short stroll to sightseeing locations and spectacular shopping experiences. Where else can you visit a place that’s been dubbed the Turquoise Coast, as the Dalaman area is referred to? Turkey has so many coastal areas that just beg for a holiday visit. That means you’ll be spoiled for choice when it’s time to plan your next break. The weather is beautiful and in summer you can expect highs of around 30 degrees Celsius. 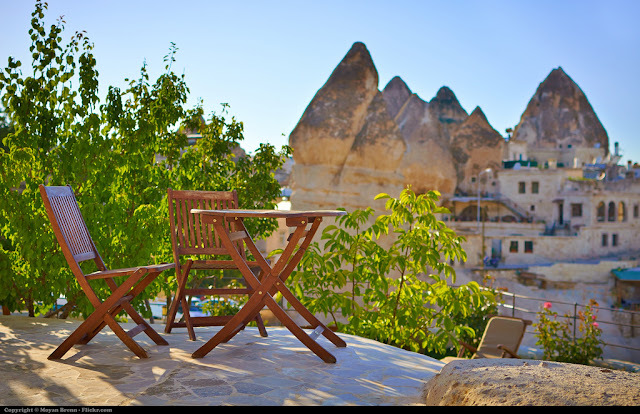 Best of all, if humidity is not your friend, Turkey is the perfect holiday destination for you. During the warmer months there is next to no chance of finding yourself with dripping shirts and frizzy hair because of humidity. If you’re looking for Turkish shopping to take home some mementos of your visit and you’re anywhere near Side, make sure you head out after dark to bag yourself some real bargains. The centre of the town shuts down to traffic and becomes one big market area where you can wander on foot and haggle over your latest, great find. Leather jackets are available in many places here, if you’re in the market to add this fashion classic to your wardrobe. Travelling with kids? Turkey has plenty to keep them occupied. Children generally love a beach holiday anyway, but if you need more to keep them busy you’re in luck. Water parks are available in several locations or how about planning a trip to Fethiye so your younger ones can visit a real ghost town. The town was deserted in 1923 and makes for an interesting afternoon seeing the empty buildings and quiet streets (without any actual ghosts!) Remember too, Turkey is full of sticky sweets to keep the children occupied when you’re wandering some place they don’t necessarily want to go! Another place bound to capture the attention of your children (and let’s face it, all the adults in your party) is the Fires of Chimaera. Flames leap out between rocks here and ancient legends say this is from an actual fire- breathing monster. This could be a good way to keep the kids busy. I’ve already mentioned Turkish baths. If you’d like to experience how amazing your skin feels after one of these, then head to the town of Armutulan. You’ll pass through several different areas, including a warm, steamed up room and a body scrub, too. If massage is your thing, you can indulge yourself and leave here feeling spoiled. I’m always reluctant to give away the location of secret places I discover in new countries. While it’s fun to share, you also don’t want to be responsible for a place being overrun by tourists wanting to try out your recommendations. You’ll remember I had this dilemma when we found some mind blowing Hawaiian secrets. Having said that, it’s always nice to know you can visit a place where only the locals go, and I try to balance my posts a little. Do you have any secret Turkish tips you can share with us? Tell us about them in the comments below!